Compact and economical low level alarm box in carafes or deposits up to 8 levels with sound and light alarms. Easy wiring printed circuit inside. Previewed for 8 level probes. Light indication of empty drum and acoustic alarm. 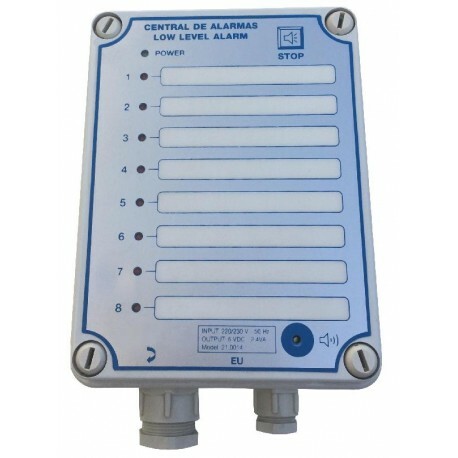 Button to silence the buzzer (automatic reset) and maintains the corresponding indicator light on.